Forget the storebought salad dressings! 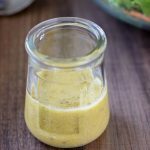 This Apple Cider Vinaigrette recipe is a tasty homemade salad dressing that is so much healthier for you. So easy and quick to make! Hey guys! Hope you all had a great Summer! I can’t believe how fast it’s flown by, and that some kids are already headed back to school. It seems to go by faster each year. I always hate the end of Summer, but I sure am looking forward to Fall temps. Of course, that’s still going to be a while here in Texas, and will probably only last a week or two, but still. That good ‘ole Texas weather. Ha! Today, I wanted to share my go-to salad dressing recipe. This Apple Cider Vinaigrette is the one I make the most often whenever we have a salad. This homemade salad dressing is so much better than that storebought junk filled with nasty ingredients. And it’s so easy to make, there’s no reason to buy it! How Do You Make Apple Cider Vinaigrette? Apple Cider Vinaigrette is a salad dressing made with extra virgin olive oil and featuring a tangy and slightly fruity taste. Dried Italian seasoning, garlic, and Dijon mustard add additional flavor. I like a good balance of vinegar flavor in my Apple Cider Vinaigrette dressing, but if you prefer, you can use a bit less of the apple cider vinegar. Or you could add a bit of raw honey to balance it. That’s one reason making your own homemade salad dressing is so much better than buying it. You can change it to suit your own taste. For recipes like this Apple Cider Vinaigrette, I like to use apple cider vinegar that has the “mother” in it. It’ll say if it does right on the front of the label. There are different brands that have it, but I buy the Braggs brand usually. 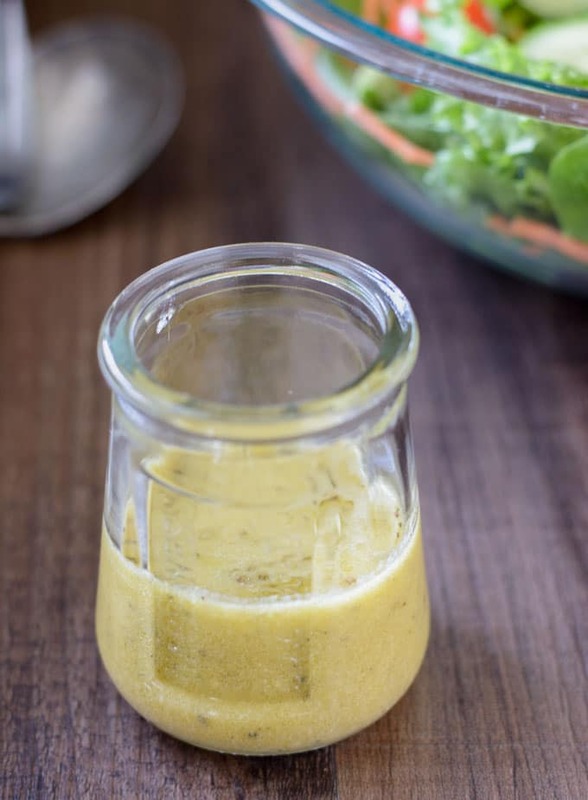 This Apple Cider Vinaigrette is a healthy salad dressing that is super easy and quick to make! 3 tbsp raw unfiltered apple cider vinegar (look for one with the "mother"
Place all ingredients into a small jar, place a lid on, and shake until ingredients are well combined. Use right away or place into fridge. Before serving, take the jar out of the fridge and let come back to room temperature, then shake again. If you prefer less bite from the vinegar, you can add a teaspoon or two of raw honey to help balance out the tanginess. By Tempie at November 5, 2018 .